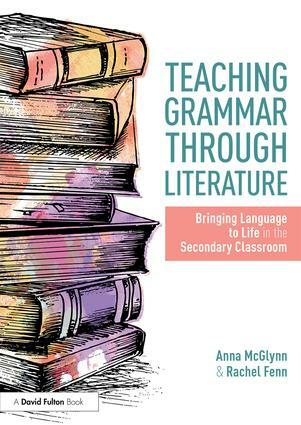 This essential guide offers a fresh approach to integrating grammar effectively into the classroom as a vital strand of English that both enlivens and enriches students’ understanding of literature. Itaims to demystify grammar and empower teachers with the knowledge, inspiration and practical ideas to confidently teach grammar to students at any stage of their secondary education. The authors demonstrate that routinely weaving grammar into lessons and the study of literature, rather than teaching it as an abstract set of rules, enables students to see grammar in a more flexible, enjoyable and exciting way. Each chapter clearly defines complex terminology and provides an essential overview of relevant subject knowledge. With multiple examples of textual analysis and a variety of adaptable lesson plans for popular Key Stage 3 and Key Stage 4 texts, the book shows how grammatical requirements can be taught in a lively, literature-based manner, developing students’ understanding and improving the quality of their creative and academic writing. Taught like this, grammar becomes a decoding tool: a key to unlocking deeper meaning within texts that enriches the reading experience. This bookis a source of fresh and exciting ideas for all practising secondary school English teachers. It will revolutionalise teaching and enrich students' understanding of literature and the grammatical theory within.